Remove the old door gasket. 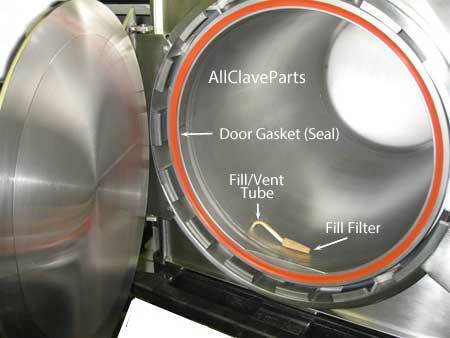 Clean the gasket groove and chamber face ring surface. For easy install of the new gasket, use the "star" or "North-South-East-West" method (ie. begin installing the gasket at the top of the door, then the bottom, then the left side, then the right side, and then eveything in between making sure that the gasket fits flush without bumps or gaps).